Researchers in Sydney are mapping Australia’s health services and population projections to identify where future hospitals, GPs and even dentists will be most needed as baby boomers hit retirement age. Already stretched health budgets will need to cover the ballooning needs of Australia’s ageing population into the future, making this information critically important. The Urban Health Data Connectivity Project will make health data available to urban researchers, planners and policy makers through the online AURIN Portal, where it can be analysed alongside a host of urban and demographic data, such as population density, income, social disadvantage and other indicators of liveability and equity. “The number of Australians aged 65 and over is expected to more than double over the coming decades, reaching 25 per cent of the total population by 2063,” explains Professor Chris Pettit, project leader and Associate Director of the UNSW City Futures Research Centre. Ageing increases the risk of several ailments, such as arthritis, type two diabetes, osteoporosis, cataracts, dementia and cancer. 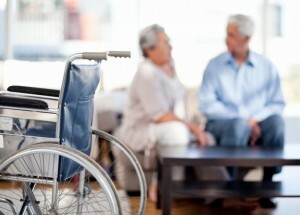 It can also reduce mobility, making local access to health services particularly important. Combined with other demographic and social information already available through the AURIN Portal, such as neighbourhoods with larger non-English speaking populations, this can help decision makers tailor policies and services to local needs. For example, aged care facilities with Chinese-language speaking medical staff would be well placed in areas with large Chinese-speaking migrant populations. 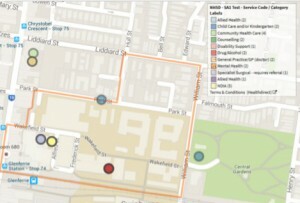 As a demonstration project, Chris and his colleagues are mapping data from the National Health Services Directory (NHDS), NSW fall-related injury hospitalisations data and the ‘MyHospitals’ data collection, which includes address information of over 1,000 Australian public and private hospitals, plus dentists, GP clinics and even local pharmacies. This project is using government open data programs to help health authorities and urban planners work together to identify the places with greatest need for better health services. It’s also an example of how governments, agencies, researchers and businesses can collaborate for the benefit of the community. 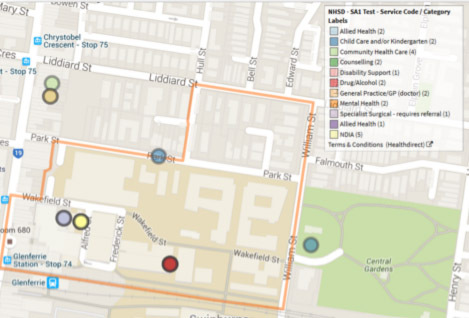 Seeing the need for localised health information, the Australian National Data Service (ANDS) funded this project. med.data.edu.au—a national data services and storage facility for medical and health research—enabled the NHDS data to be made available through AURIN, and e-research support company Intersect developed the software needed for the project. Researchers who would like to access the NHSD data via AURIN can generally do so, but first need to fill out an access form, so that HealthDirect can approve the use of the data for research purposes. This entry was posted in Government, Health, Latest News, Resources for Research. Bookmark the permalink.